The Humboldt Lofts is a 36-unit development made up of the modern Humboldt Annex condos, and the classic industrial lofts of the original Humboldt Mill. Overlooking Gold Medal Park, homebuyers can take advantage of the many nearby amenities of the lively Mill District. Combining the best of old and new, homebuyers can choose between a converted loft unit or a modern residence with contemporary features. 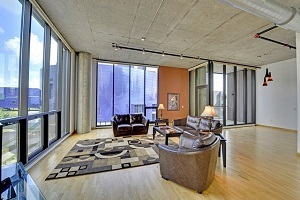 All units however come with wonderful views of the Mississippi River, the Stone Arch Bridge, or the Minneapolis skyline. Paired with equally impressive shared spaces, the Humboldt Lofts are some of the most sought after loft residences in the city. Scroll down to see all Humboldt Lofts fir sale or read more about the amenities and features this wonderful building has to offer. Enjoy the benefits of registration. Sign up for free, and save all of your custom searches. Never lose another listing again! 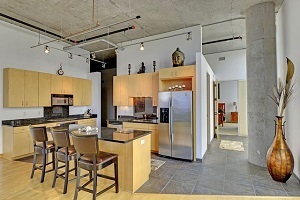 If you're looking for lots of room, the Humboldt Lofts offer some of the most spacious living options in Minneapolis. 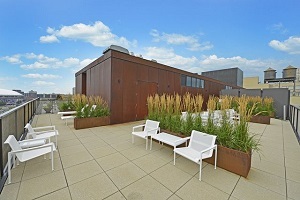 Boasting some of the largest residences in the city, lofts range in size from 2,700-4,000 square feet. The classic lofts at Humboldt Lofts feature classic industrial features like arched windows, concrete floors, and exposed brickwork. The contemporary units in the Humboldt Annex also come with some great design details including open kitchens, 12 ft. floor to ceiling windows, and hardwood floors. Included with Humboldt Lofts condo fees. The Mill District's endless amenities and attractions means that residents can find everything they need within walking distance from Humboldt Lofts. Some of the nearby amenities include restaurants, recreational amenities at Gold Medal Park, and the Mill Ruins Bridge. 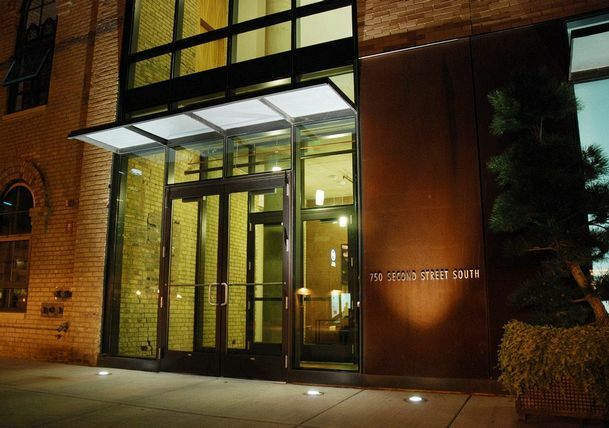 On the ground floor, residents have access to Spoonriver; a deli and restaurant that offers local produce. From May through October, the Mill City Farmers Market. Parks: Mill Ruins Park, Gold Medal Park, Xcel Energy Water Power Park, Marcy Park, Loring Park, Chute Square, Currie Park, Gateway Park, Marcy-Holmes Neighborhood Gateway. Restaurants: Spoonriver, Kindee Thai Restaurant, Sea Change, Sanctuary Restaurant, Wasabi Fusion Restaurant, Vic's Restaurant, The Old Spaghetti Factory, Sawatdee, Zen Box Izakaya. Shopping: Macy's, Marquette Plaza, Sak's Fifth Avenue OFF 5th, Gaviidae Common, Walgreens, Office Depot, Nicollet Mall, Riverside Mall.